One day last fall, as I was walking through Yoyogi Park on my way to fall off the slackline, I saw this guy standing by a tree in a vaguely medieval-looking costume. In America I’d have hustled by, careful to make ZERO eye contact, sure he was either a member of a rabidly proselytizing religious cult or a member of the Society For Creative Not Having A Life. But fortunately, we were in Tokyo, and I discovered that Ootomo-san actually performs incredibly entertaining traditional Japanese one-man comedy! Rakugo dates from the samurai era, and Ootomo-san’s performing persona evokes the traveling artists who wandered from town to town, entertaining the citizens with stories that made rich and poor alike laugh at the foibles of being human. Rakugo stories are filled with all kinds of characters – snooty courtesans, sniveling peasants, haughty judges, lovelorn fools, cheating husbands – and all of them are expertly played by Ootomo-san. Sitting in a position that makes my knees hurt just thinking about it, Ootomo-san switches between characters faster than a chameleon, changing his voice and body language so completely you forget he’s not actually a simpering girlfriend wannabe or a leering fisherman. And the best part is, Ootomo-san can perform in ENGLISH! Very few foreigners are lucky enough to get a chance to watch rakugo even in Japanese, so to see rakugo performed in English is like winning the daily double for those of us whose Edo-era Japanese is a little nonexistant (think Shakespeare, only with words that aren’t even close to anything you recognize). All you have to do is ask. Don’t be shy – he speaks English and can choose pieces that only take three minutes or make you laugh for twenty. And I’ll bet my prize ReBoot action figures that you’ll want to stay longer than you thought. After each performance, he’s generous with his time, answering questions about rakugo, life in Japan, his volunteer time with refugees of the 3/11 earthquake and even doing an encore if your sides don’t yet hurt enough from laughing. 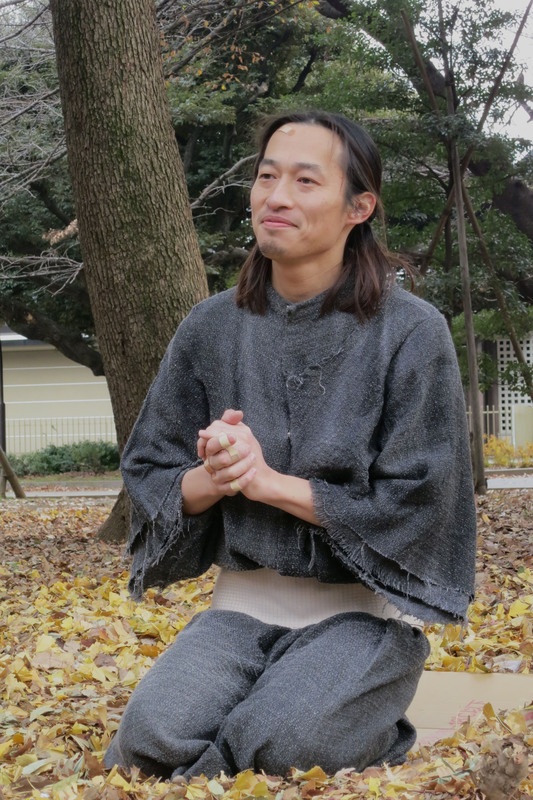 Update: Ootomo-san (pronounced oh-toe-moe) is no longer performing in Yoyogi Park, but he now has a whole channel of rakugo stories for your viewing pleasure! Whether you’ve got two minutes or twenty to spend laughing at these delightful traditional performances, check them out! I hope i get to see him perform one day……sounds awesome……storytelling is a dying art form…glad some people are working hard to preserve it. Yeah, it’s too bad, isn’t it, how few people keep alive this kind of art? 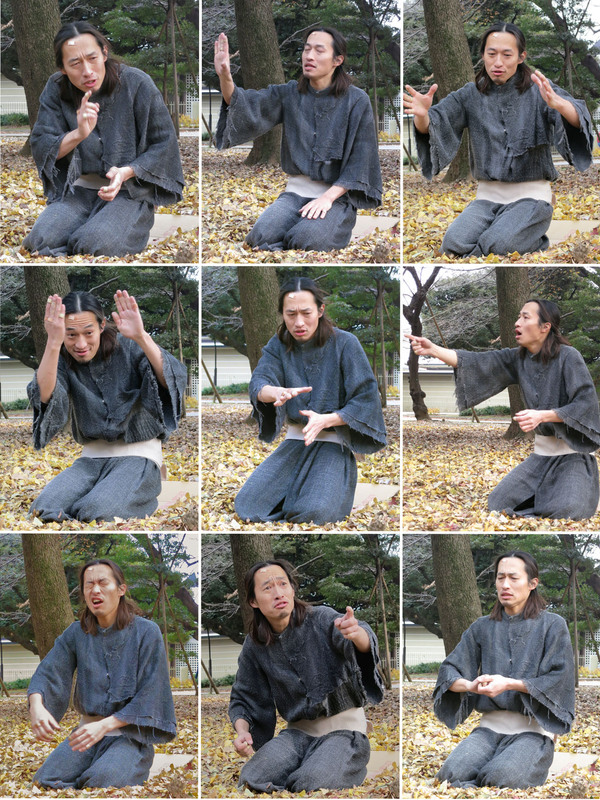 Here in Japan people think traditional arts like rakugo are only performed by old uncles FOR old uncles, but Ohtomo-san is one of a new generation of performers who are not only bringing the art to people outside Japan, they’re also generating new stories in the old tradition. The thing I love about rakugo is that even though the classic stories date from samurai times, people are people. Women are women, men are men, and no matter where they come from or when they were born, people do ridiculous, heroic, heartwrenching, foolish things. 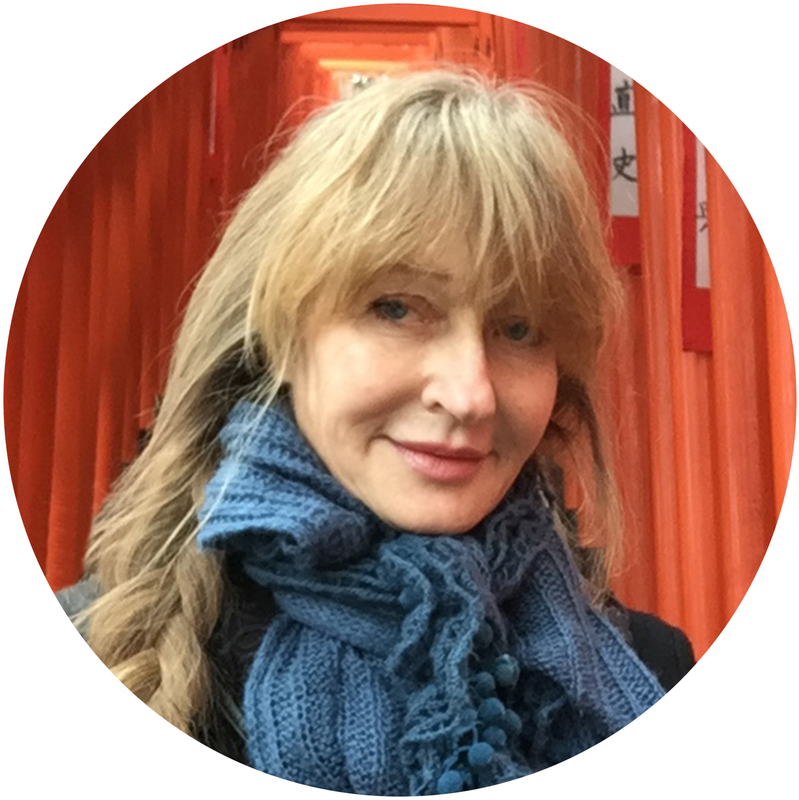 The stories translate beautifully because they are all about…people. The great thing about rakugo is that the characters have to be really sharply drawn, in order to differentiate them as they have a conversation, so even in Edo-era Japanese (which as you may have guessed, is not my strong point!) I can follow the story if he gives me a little synopsis up front. Recently we talked about the challenges of portraying really typical Japanese characters in English.Their way of talking gives Japanese audiences an immediate clue about their social position/level of education etc., but how to do that with English without losing their Japanese nature is really hard to do. Ohtomo-san says it’s essential, though, in order to keep traditional Japanese arts alive and introduce them to a wider audience. I have to say, I’m impressed with how well he does it, and hope that lots of people seek him out in Yoyogi Park and take a little piece of rare Japanese culture back home with them. Sounds like a fun thing to see. I’m sure I would enjoy it if I visited. Ah I would LOVE to see this. Is he on Youtube at all, or any place else I could get a peek without going to Tokyo? Pingback: Japanese Entertainment In Tokyo | Let's Go To Tokyo!